You might have heard that home fireplace TV installations have been given a bad rap. But if you’re considering mounting a flat panel on your fireplace, don’t worry: in the hands of Trox Tech these false claims fall flat. Not only are they the most aesthetically-pleasing, stylish, and outright gorgeous of mounting spaces, they are some of the most structurally sound of large electronics installations as well. Sometimes the layout of a home will feature the fireplace as the centerpiece in a living room or great room–mounting your TV to the fireplace can free up some extra space for other pieces, while also not requiring you to rearrange the present design of the room. There’s no way to run electricity to the TV at all, or at least not without visible wires. The angle of an LCD TV against the fireplace will strain your neck and the brightness of the bulbs behind the TV will show through the screen. 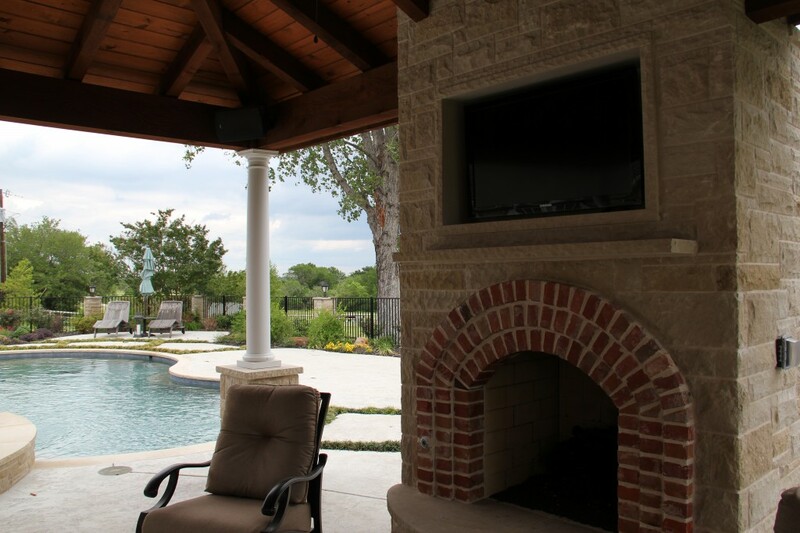 The heat or smoke from the fireplace burning will detrimentally affect the bottom edge or internals of the TV mounted above the mantel on a stone or brick fireplace. Prewiring or outlet relocation is a simple process. If you have a newer home, your fireplace is most likely already prewired for electrical and coax, and even if you do not have a prewired fireplace, the ability to become properly wired is an easy, quick, and safe process for a professional custom electronics (CE) installer to do. Swivel brackets tilt both on a Y and X axis—that means no glare or sore neck. The use of an affordable, commercial grade full motion arm or “swivel” bracket to hold the flat screen will allow you to alter the angle and the axis of the flat screen for optimal viewing. No craning or cramping your neck! Ever touched the top of your fireplace, was it warm? A flat panel or LCD TV, like a laptop or most electronics, will give off a certain amount of warmness during normal working operation, but a TV professionally mounted on your fireplace, even with a warm fire kindling, will not cause the TV to become any hotter than usual. This is because every fireplace that meets basic residential building code is designed to trap all the heat and smoke of a fire inside the flue–and are so well-insulated and thick that no smoke or heat would ever harm your TV. Our specially-trained techs have the practical know-how and experience that comes with daily exposure to these and other types of specialty-installations. No two fireplaces nor walls are exactly the same, but our technicians have not come across one which was impossible to mount any size TV onto. This means your installation, whether above a fireplace or on a ceiling, will be of the highest quality and will always meet or go beyond your exact expectations. 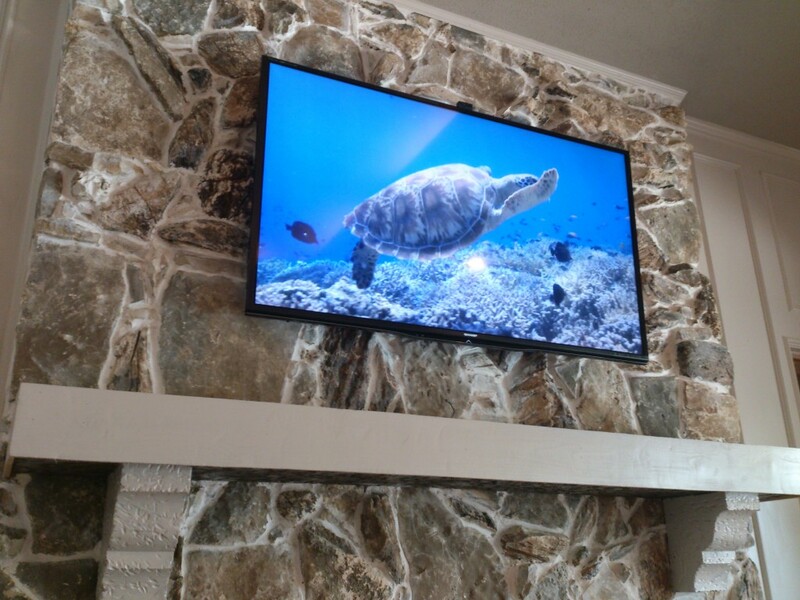 If you would like to learn more about TV Installs contact the Trox Tech at (704)200-9889. We #MakeITSimple!